HAIR AND NAIL STRENGTH FROM WITHIN. Hårkontroll - a popular and well-established brand, on the market for 20 years! 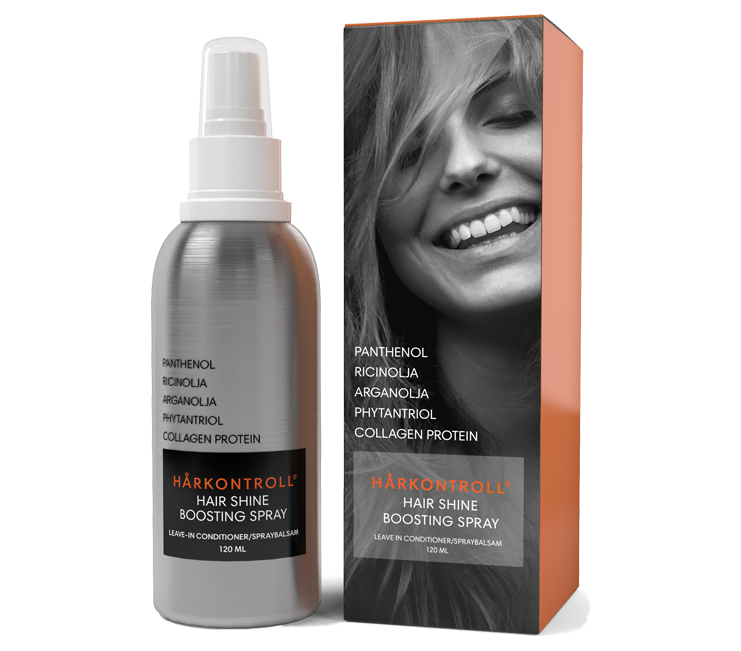 Hårkontroll is hair and nail strength from within, a dietary supplement specially developed to provide vital nutrition for hair and nails, containing biotin to help maintain normal hair, zinc and selenium to contribute to maintaining normal hair and nails and copper to help preserve your hair’s natural pigmentation. 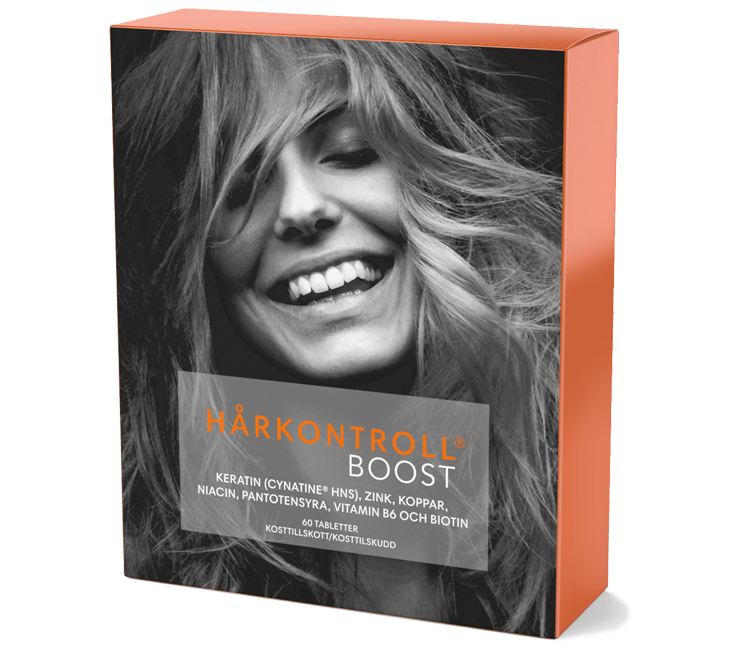 Hårkontroll also contains a host of other vitamins and minerals, extracts from silicone-rich bamboo, as well as millet, one of our healthiest cereals. Your roots draw nutrition from the circulatory system and this also decides your hair’s character, quality, colour, shape and strength. In order to maintain healthy, thriving hair with shine and strength, it is important that the roots receive sufficient nutrition. Therefore it can be advantageous to occasionally complement your diet with that little something extra. For hair happiness. Bulking agent (microcrystalline cellulose), bamboo extract (Bambusa arundinacea), vitamin C (L-ascorbic acid), zinc gluconate, millet extract (Panicum miliaceum), manganese gluconate, vitamin E (dl-alpha-tocopheryl acetate), vitamin B3, (niacinamide/ nicotinamide), vitamin B5 (calcium D-pantothenate), L-cysteine, selenium (L-selenomethionine), copper sulphate, vitamin A (retinyl acetate), folic acid (pteroylmonoglutamic acid), D-biotin, surface treatment agent (hydroxypropyl methylcellulose, magnesium stearate from fatty acids, vegetable glycerine). 2 tablets daily, taken at mealtimes. Do not exceed the recommended dose. Dietary supplements should not be used as an alternative to a balanced diet. It is important to maintain a varied and balanced diet and a healthy lifestyle.